Court victory is never obtained through wishful thinking, stroking a lucky rabbit’s foot, nor good looks. As a Fairfax criminal lawyer, I know that court victory comes from a lawyer’s relying on his or her own ability, wits, human greatness, sweat and toil. One of the biggest obstacles to winning in a Virginia criminal case is getting self-debilitated by Virginia’s crabbed evidentiary discovery rules, the power of a jury in recommending a sentence, prosecutors who throw proverbial dirt at the criminal defense lawyer’s face, and police who laugh against the Bill of Rights. After twenty-five years of defending clients in criminal court, most of these dysfunctions and slights in the criminal justice system roll off me like water off a duck’s back, while I reassure my clients to keep our eyes on the prize of as much victory as possible in their case. As a Fairfax criminal lawyer, I know that I must be prepared for days when court seems no better than swimming in a cesspool. Speaking of cesspools, everyone has their own life sh*t. If not, nobody would try to sh*t on others. There is no out there for the mind. Court victory starts from within. “There is no out there for the mind.” Now is the time to stop complaining rather than simply doing, because we always will have others’ slights available to complain and blame about, which is all an unnecessary distraction to winning in court and in life. 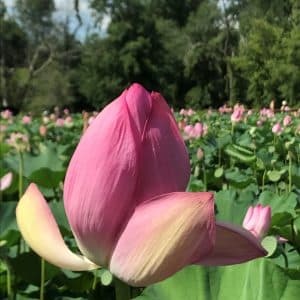 Thich Nhat Hanh is a great teacher about dealing with others’ seeming sh*t, by reminding us that beautiful lotus flowers only grow from the mud, with their petals free of mud. He goes further by likening our human obstacles as our seeds, with the good seeds to be watered and nurtured and the bad seeds to be discarded. He reminds us that everyone suffers, including the tormentor, so we can offset that torment by proceeding with powerful compassion, for ourselves, opponents, and everyone else. Winning in criminal defense focuses on the criminal defense lawyer as the effective fighter undistracted by the feces on the path. Fairfax criminal lawyer Jonathan L. Katz has battled for thousands of clients in court since 1991. To discuss your case with Jon, please call his staff to schedule a confidential appointment, at 703-383-1100.